I travel with five things that require charging. As much as battery technology has improved, our devices seem to need increasingly more power to operate. 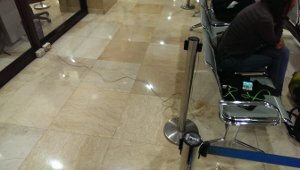 While travelling, it’s sometimes a struggle to find a working outlet at the airport. And it did used to drive me up the wall when the only outlet in the hotel room is unreachably placed squarely behind the massive headboard of the bed. I no longer need to fume. 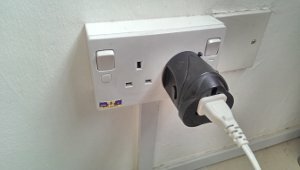 My fix for these situations is to carry a world plug adaptor and a cheap extension cord. This one-two combo has served me well in my years of travelling. You really need one of these when travelling to multiple countries. They come in many sizes, shapes, and prices. 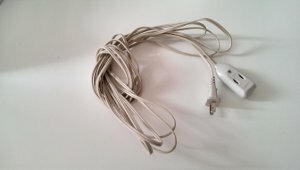 They are cheap ($15 USD), and basically lets me connect any one of my electronics to practically any outlet in the world. Why then would I need an extension cord? It allows me to plug in three devices at the same time. I can sit anywhere within a five meters radius of the outlet. It’s magically freeing when you no longer have to worry about running out of time to charge your phone, camera battery, and use your laptop at the same time. Time is precious when you are on a trip. 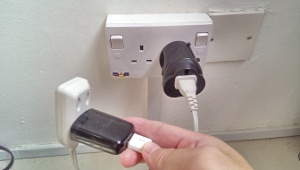 I can do this without needing to fish out 3 travel adapters in either Austria or Zimbabwe. 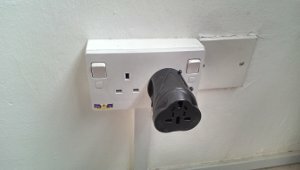 I can plug in the extension cord and stretch it across the hotel room, or two tables away in the coffee shop, or across the airport corridor to the nearby seat. Plus, you can also make instant friends by sharing outlets instead of being the outlet hog in hostels as well as other public spaces. Step 1: Plug in your Adapter. Step 2: Plug in your extension cord to the adapter. Step 3: Now you’ve got Power for 3 devices while using only one adapter. 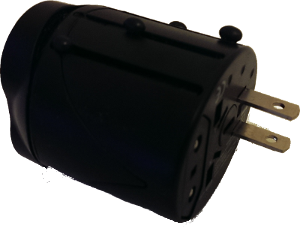 Be wary of using heavy travel adapters, as they tend to fall out more easily from loose outlets. 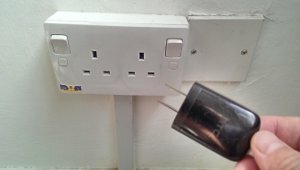 Most modern electronics you buy will automatically convert to use either of the two prevalent voltages world-wide.. but make sure you check first. Unplug sensitive equipment from the wall during electrical storms or when they are finished charging. It’s convenient if all your electronics share the same type of power cord. The best $2 on travel gear spent!